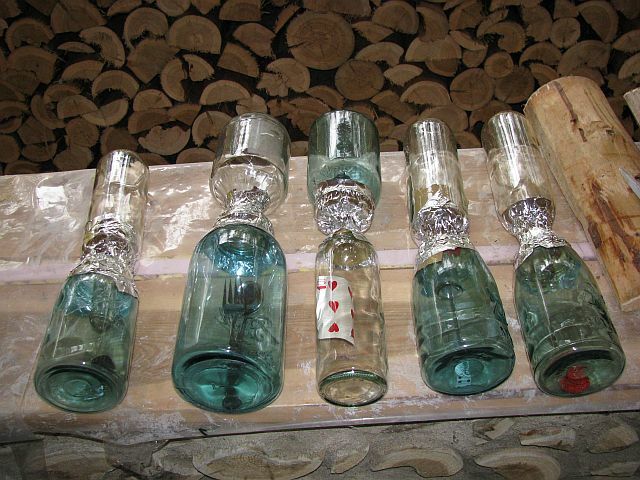 You can make bottle bricks by simply placing two bottles together and taping them. 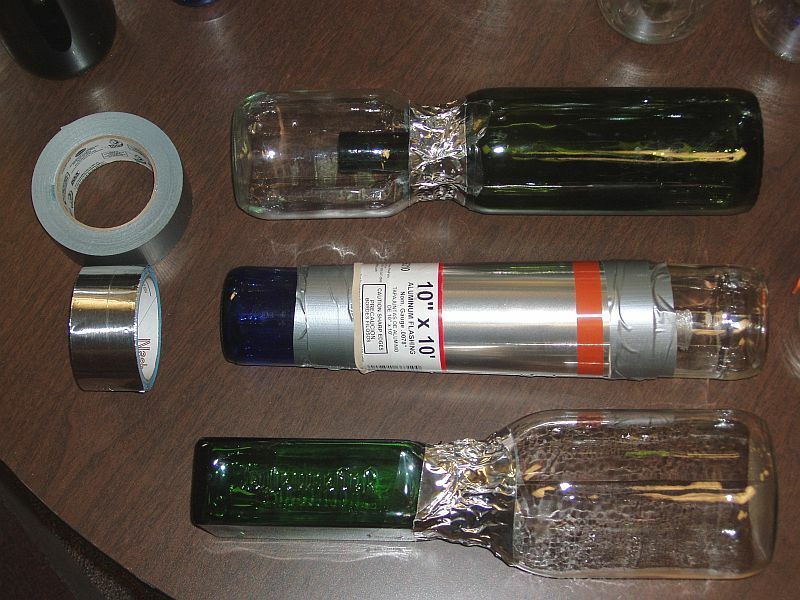 Or you can cut each bottle and tape them together. 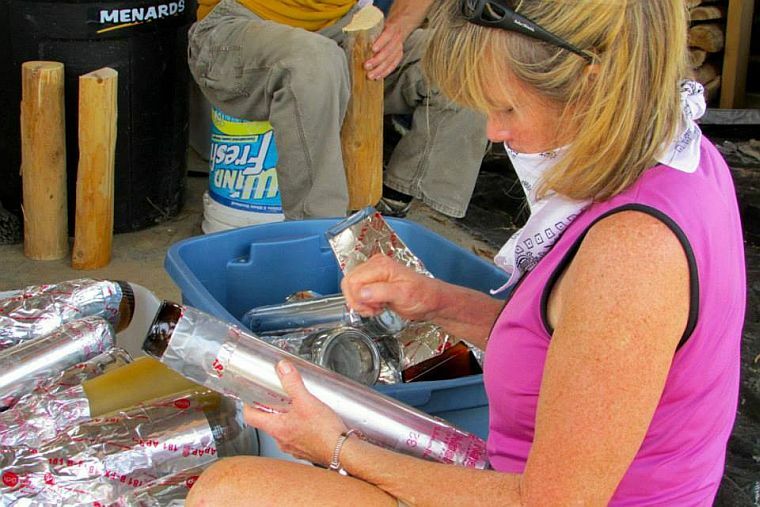 Here are pictures showing how to make bottle bricks. In this case, a picture truly is worth a thousand words. The finished bottle ends are being pricked with a map pin to allow moisture to transpire. 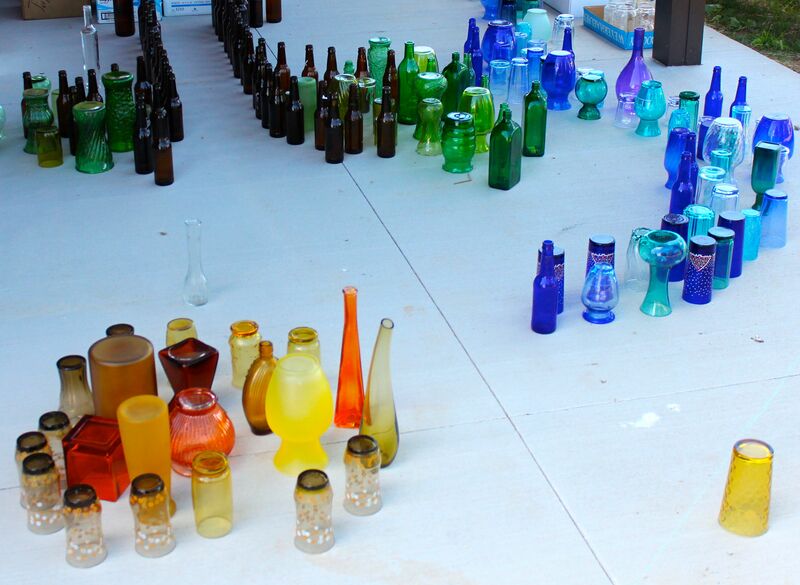 Dozens of bottle ends ready to provide a spot of light in the wall. We have found that that aluminium flashing needs to go to within an inch or two of the end on each side for maximum light transfer. 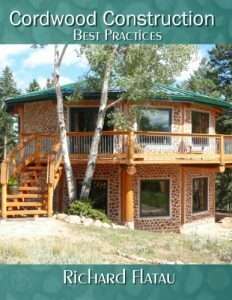 How did we make all of these bottle bricks? 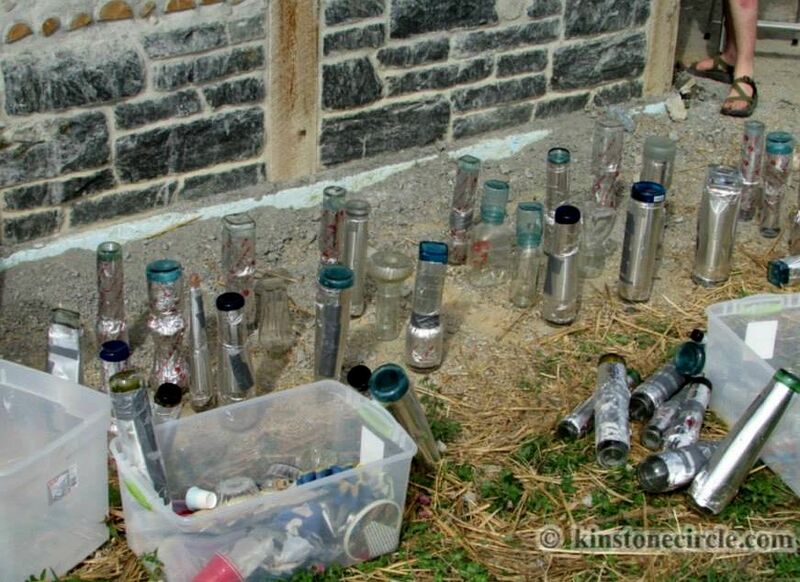 It is important to start collecting a large number of bottles and vases ahead of time. The glass must be clean and dry. It helps if the labels are removed. There needs to be an ample amount of clear and colored glass to brighten your walls. Sometimes even paws and a wet nose are helpful to sort and select bottle sizes. 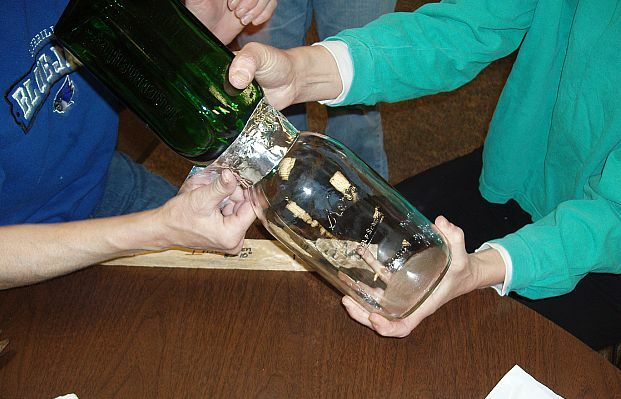 Below are a set of pictures showing how to put two bottles together “WITHOUT” cutting. It is good to have extra hands. Objects can be placed inside bottles. 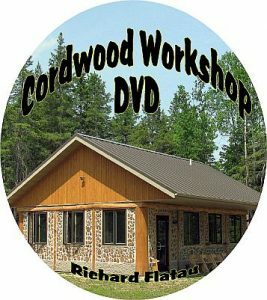 These are being used at the Cordwood Education Center, which is a cordwood public school classroom. Aluminium flashing and tape were added to these before placement in the wall. 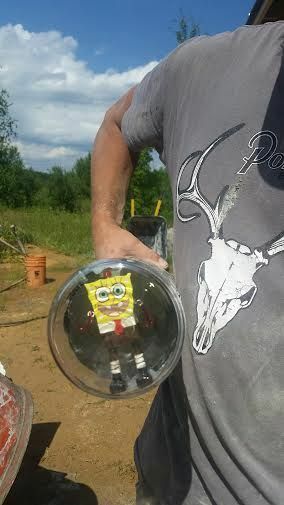 Sponge Bob finally makes his debut in a wall that is not in an ocean. 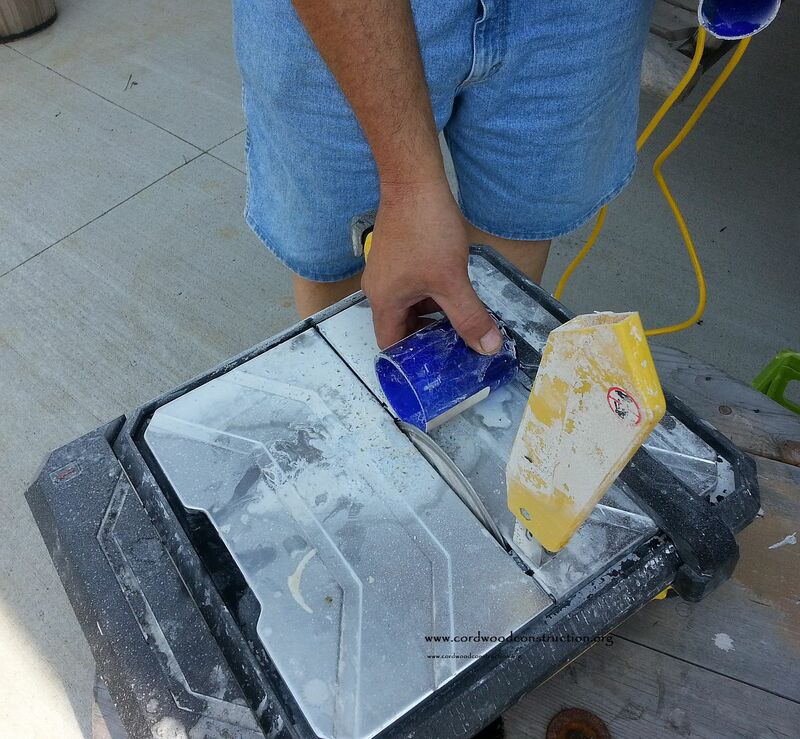 Flashing is then applied and aluminium tape. The middle bottle (below) is the best example of how to finish a bottle brick. Placing the bottle bricks in the wall. Some fine examples of bottle brick walls. A whole wall of bottles at Honey & Mike’s. 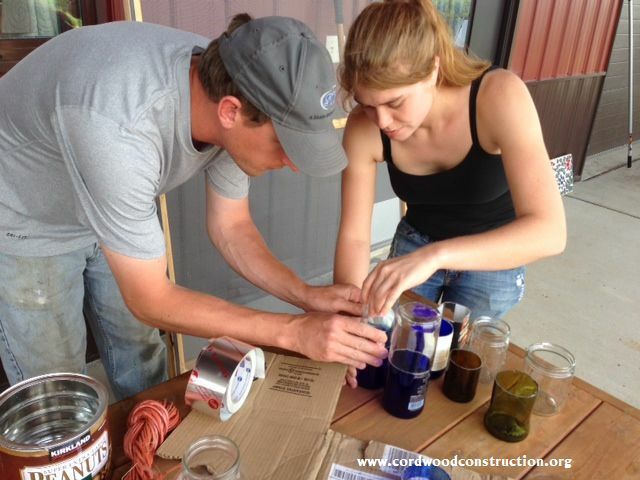 Ted Amman in Wisconsin has started using colored bottles on the INSIDE AND OUTSIDE. Ted loves the way it makes the exterior wall look. The Airlie Chapel in North Carolina is all bottle bricks! 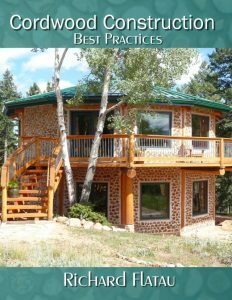 KimAnna uses bottle bricks in the most amazing ways. Let your imagination be your guide.